For more than twenty-five years, I have been an aggressive advocate on behalf of my clients in and around the Pittsburgh region who have been arrested and charged with drug crimes and other related criminal offenses. In my many years of helping people who have found themselves on the wrong end of the law, I have gained the personal experience that is essential for a thorough understanding of how the prosecution goes about building upon a criminal case against defendants. In addition, I have acquired a unique perspective on the overwhelming effect a drug charges conviction can have on a person’s life-now and, more importantly, in the future. 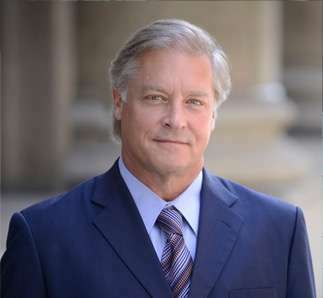 When I first began my private practice years ago, I did so based on a strong foundation of beliefs that all people who are arrested or charged with all types of crimes are of sound right to obtain legal counsel from an experienced Pittsburgh attorney who is committed to doing everything in his power to defend his clients’ and his clients’ families’ best interests. If you have recently been arrested on drug charges, it’s important to understand that neither an arrest nor a charge against you can guarantee your conviction. It’s also important to know that the best chance you have of getting the drug charges against you dropped, or being acquitted at trial, is by securing quality legal counsel from a veteran Pittsburgh drug charges lawyer. Whether you are facing misdemeanor or felony drug charges, my team and I will be able to provide you with a solid defense strategy that could help you avoid jail time and costly fines. Over the years, I have built a reputation as a successful drug charges attorney in Western Pennsylvania and I’ve had extensive experience defending the rights of first-time drug charges offenders, multiple drug charges offenders, and those clients who have been charged with the most serious of drug crimes. If you have questions about drug charges in Pennsylvania, please call Pittsburgh drug charges attorney Gary Gerson today for a free consultation at 412-219-6875. « Do you have a bench warrant in Pennsylvania?